Abu Dhabi's leading private members club: " The Club" Abu Dhabi is hiring staff. About The Club Abu Dhabi: The Club is Abu Dhabi's favourite private Members’ Club, located in the heart of Abu Dhabi, and boasting a plethora of facilities, activities, and services at hand for club Members. in the 25 meter pool or the private beach. Other activities at hand for Members include playing tennis, squash, badminton, football, snooker, hockey, netball, and much more. 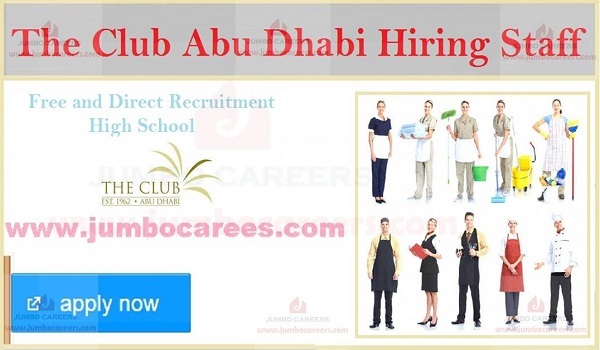 How to Apply For The Club Abu Dhabi Careers 2019?